Whether you’re a newcomer trying to find a niche in the world of online poker, or an established player looking to broaden your horizons, Poker-Vibe dishes up something for everyone. 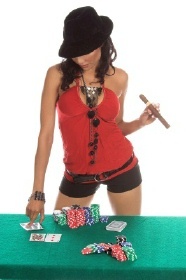 From online poker strategy to book reviews, you are sure to find whatever you are looking for. Take a look around, and tap into resources that will improve your game and help you enjoy it more along the way. These days, with some sites running daily tournaments with 6-figure payouts, it’s hard to ignore the lucrative lure of online poker. Besides, not everyone lives within a reasonable driving distance of brick & mortar casinos, thereby making “cyber-poker” not only appealing, but perhaps the only choice for some. Scratching a poker itch has never been easier, but finding your comfort zone in the world of online poker can be a daunting task. While the leap onto the virtual felt can be intimidating, it can ultimately be a fun, satisfying and profitable experience for those who utilize the free online poker tips offered here at Poker-Vibe. If you’re not quite ready to jump into online play at all, but are merely looking for some tips and advice that you can later apply to the online arena when you feel more comfortable – Poker-Vibe can help here as well. 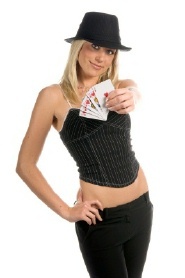 Within the site, you will find links to plenty of online poker strategy articles like basic loose aggressive LAG strategy, TAG poker and taking player notes online, as well as reference materials like Poker Terms and Texas Hold'em Basics that will boost the confidence of neophytes and experienced players alike. Books are a great way to learn about the vast number of different technical and psychological approaches to the game of poker. They allow us to delve into the minds of some of the greatest players in the world, who share their insight and knowledge in easy to read, and often amusing, autobiographies. The number of poker-related books being published has risen as fast as the popularity of the game itself. Poker-Vibe reviews many of the most widely acclaimed titles (and even some lesser-known works) to help you get started with a poker library that will fuel your desire and ability to jump onto the tables with confidence. The Theory of Poker, Harrington on Holdem and Winning Low Limit Hold'em are only three of the popular poker books on which Poker-Vibe offers comprehensive reviews. While this site focuses heavily on online poker strategy, there is a wide array of interrelated subjects on the many different poker games being played live as well. The articles in Poker-Vibe touch upon a wide variety of these topics, from introductory lessons to more advanced strategy ideas written by players who have paid their poker dues and speak from experience (novice to professional). Popular articles include How to Make Money Playing Online Poker, Pot Limit Omaha - The Action Game, Poker Game Theory, Poker Logic, Omaha Scooping, Poker Success and Playing Pocket Pairs in No-Limit Hold'em. There is much to be learned, and applied, from these articles and they should be a valuable resource for anyone preparing to enter the world of online poker. The poker terms section alone has over two hundred articles explaining common and not so common game terminology. While this site should prove to be educational for players at all levels, there is no substitute for learning from experience and actually getting your feet wet. A great way to get started without the monetary consequences is to try your hand at the many free poker games offered online (including tournament freerolls). As you gain experience and begin to feel more comfortable, Poker-Vibe will be here to help point you in the right direction, providing solid tools and advice to better prepare you for online and live poker experiences. It’s up to you to turn this knowledge into a fun experience, and hopefully a little extra cash in your pocket.